A new situation comedy is about to premier on HBO simply titled “Divorce” starring Sarah Jessica Parker, who also serves as an executive producer. We all know that divorce is a serious, life-altering event. Like many situation comedies that find humor in dysfunctional marriages or family situations, it is understandable why television would want to extend those notions to the divorce arena. While litigants may not see the humor of it, many times we as lawyers, looking at it from the outside, shake our head in disbelief of the types of things that otherwise good and reasonable people will do or say to try to get back at, or get one over on, their spouse, a person they used to love but now despise. Very early on in my legal career I was in chambers with a judge discussing a difficult matrimonial case. That judge remarked that “in criminal court you see bad people at their best, but in family court you see good people at their worst”. That sentiment has been repeated to me by many judges since. It has stuck with me, and I generally recount it to prospective and/or actual clients at the outset of my representation. Indeed, in an article about this new show, the producers of “Divorce” repeated these same sentiments as one of the premises upon which this show was based. However, there was another comment in that article that caught my attention even more. When asked how this show intended to deal with the children whose parents were divorcing in the context of a comedic series, the response suggested that while the show will deal with the impact of divorce upon them, they would not be the object of the shows’s co medy and humor, suggesting that for the children whose family, if not world, is coming apart, divorce is no laughing matter. How true. When a new divorce case comes into my office, and the parties have no children or the children are all emancipated, I somewhat breathe a sigh of relief. In those instances, the case will largely, if not exclusively, deal with finances, i.e. support, property issues and the like. Not that these types of cases won’t be contentious, but ultimately the goal is to whack up the money in a fair and equitable manner based upon the facts and the law. However, when I hear a case involves children, there is a whole other set of dynamics involved, not only the additional legal issues relating to children, (i.e. custody and parenting time, child support, educational expenses and the like), but the impact of the divorce upon the children themselves becomes a paramount consideration as well. The studies have shown that even at a young age, children are like sponges. The home is their environment. The parents are the foundation of their very lives. They know when there is a crack in that foundation. 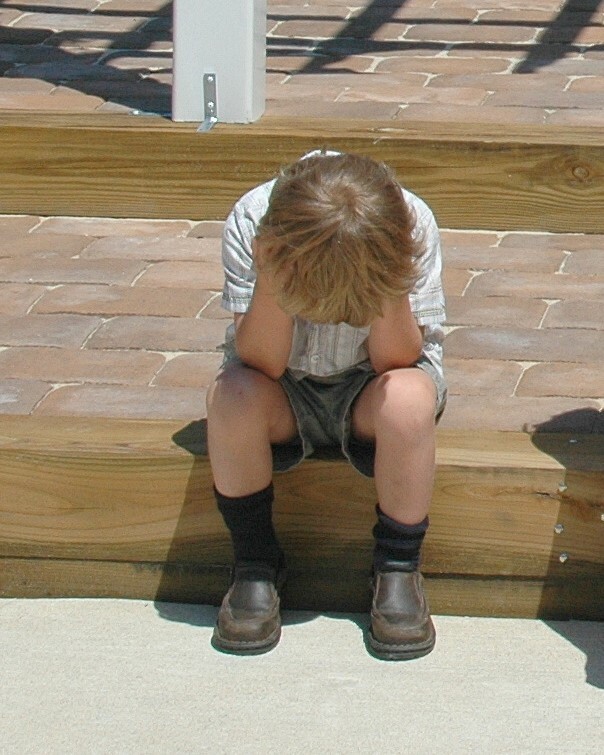 Whether it is overt yelling and arguing, or more subtle tension and hostility, children sense that something is wrong. They can’t help but be affected by it. Many children believe that they have done something wrong and they are the reason why their parents are fighting or breaking up. At the outset of my representation, I discuss these issues with the client. I understand that when a client comes to my office seeking a divorce, they are going through a very difficult and emotional time. Their feelings of animosity, if not hatred, towards their spouses are raw and real. I try to caution that client about attempting to use the children as pawns or drag them into the middle of their battles with the spouse. I understand that this is often easier said than done. A number of years ago, the courts in Wisconsin articulated what became known as a “Bill of Rights of Children”. Among those “Rights” which I discuss with my client include recognition that children need to be treated as an interested and affected person and not as a pawn, possession or chattel of both parents; the right of the children to know both parents and have the benefit of each parents love and guidance; the right of children to have a positive and constructive relationship with both parents, and for neither parent to denigrate or degrade the other in the mind of the child. It also goes without saying that a parent should do their best not to expose the children to their arguments and disputes, not to press the children, whether directly or indirectly, to take sides, and not to use the children as conduits or as sources of information about the other parent. Beyond anything, each parent should offer their children reassurance, support, and love. Understanding that cooperation may sometimes be inappropriate in cases of domestic violence. Each parent is scheduled to attend different sessions, and which are usually conducted by a family mediator, clinical social workers or other similar professionals. Attorneys do not participate. It is essentially an informational process. While litigants may have the opportunity to ask questions or discuss particular concerns, no substantive matters are addressed or determined. Hopefully the information imparted during these sessions only serves to reinforce that which you should have already discussed with your client. Some of my clients have offered positive feedback after attending. Unfortunately for many the emotions are still too raw, tune out what was being presented, and view it to be a waste of time and just something they had to do. That is unfortunate, but is a reality that we need to deal with as we proceed through this process. Hopefully these messages sink through at some point, and at a point before which the children are irreparably and adversely impacted. For children, divorce is not fun. As the show Divorce looks at divorce in a comedic light, let’s hope that it treats its impact upon the children with the sensitivity it deserves.